Microsoft has released a new PC build, Build 10532, for insiders on the Fast Ring. This build doesn't bring any big feature but enhances the overall performance/stability, bug fixes over the last build (10525). 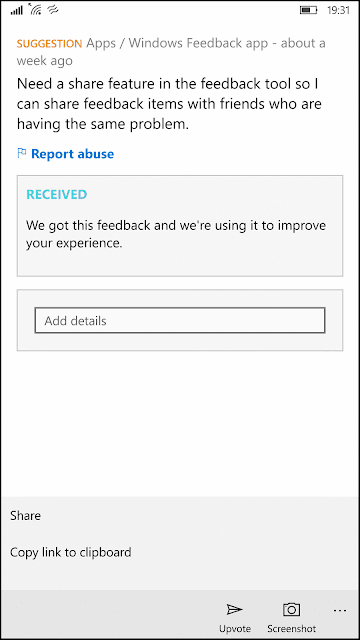 We are releasing a new Windows 10 Insider Preview building to the Fast ring today: Build 10532. As always, there are bug fixes and improvements in this build over 10525, but also some new features we are very excited to share with Insiders. We’ve heard feedback about the consistency of menus within Windows 10, so we’ve made some changes to improve these and give them a modern look at and feel. We are still working on it, but you’ll see some good changes with this build. We’re also further unifying the light and dark theming across the OS and are looking forward to you trying these latest changes and providing additional feedback. 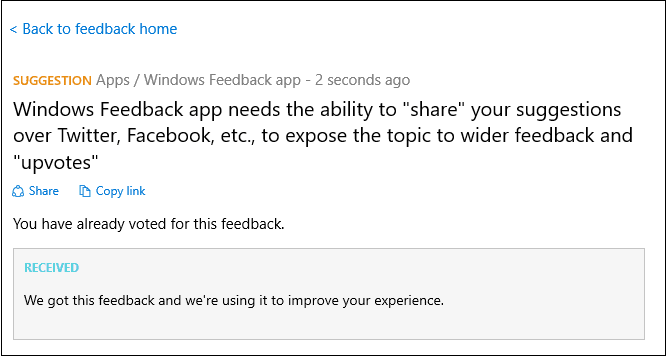 The Windows Feedback app will now allow you to easily share your feedback with others. 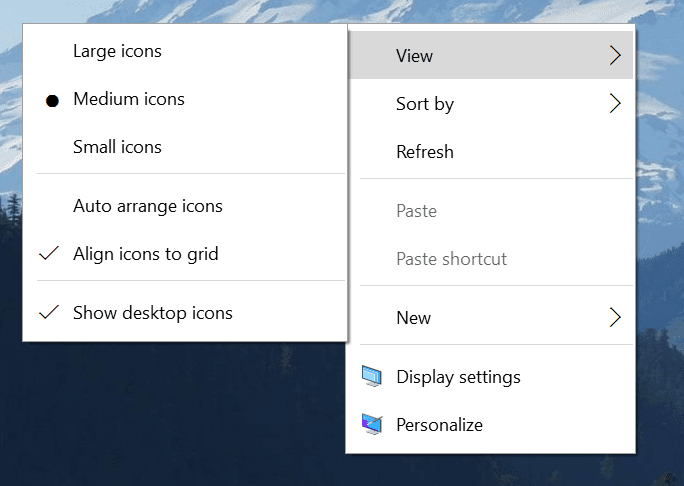 You have the option to share using any application that supports the Windows Share functionality or get a direct link copied to your clipboard for pasting anywhere you like. 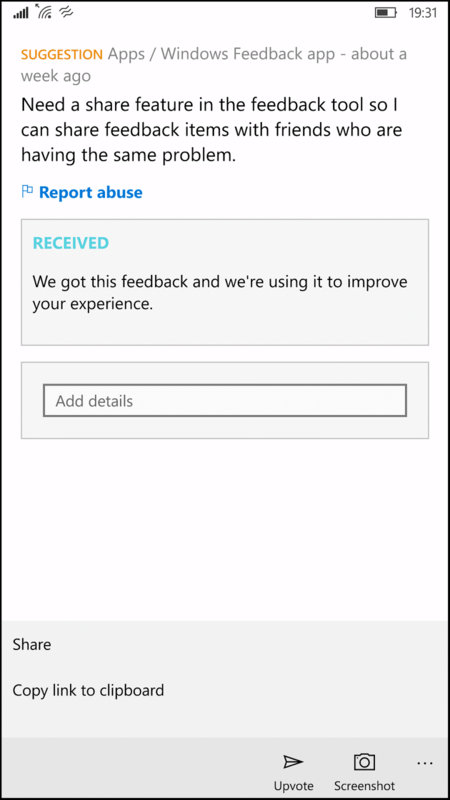 We think this will help Insiders more easily share specific feedback and suggestions with other Insiders on Twitter, Insider forum discussions, and directly with our engineers. Naturally we would like to hear your feedback on this new feature as you use it. 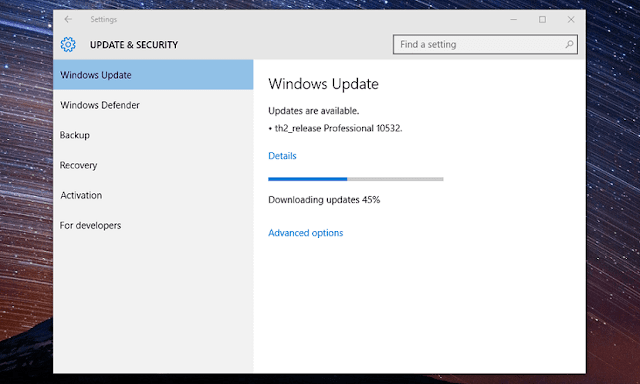 If you are already an insider,you can upgrade to this build through Windows update. Not an insider? To get the latest Windows 10 build, you’ll need to be part of the Windows Insider program and to sign up for the program, head over to http://insider.windows.com for more info. I know many of you are eagerly awaiting a new mobile build. We have found and fixed a few issues that would be a blocker for some Insiders in recent builds in our internal rings, so we haven’t had one we felt was ready to go out to you since 10512. We have some good candidates coming through with those fixes, so after we run them for a while and ensure they are ready for you we’ll get them out. As usual, Microsoft hasn’t released the ISOs for this build and Microsoft may (or may not) release the build to the Slow ring. However you can always download Windows 10 Build 10532 ISO (unofficial) from the below links.